Not everybody lives a “normal” life. Everywhere we go, we encounter individuals who experience disabilities as part of their day-to-day living, particularly in terms of employment or finding a job. People with disabilities are those who have some type of physical or mental impairment that substantially limits their performance of one or more major life activity. Apart from being regarded as having such impairment, though, they also have a record of such impairment. Getting rid of discrimination should help them advance their careers. Under Title I of the Americans with Disabilities Act of 1990, private employers, state and local governments, employment agencies, and labor organizations are prohibited from discriminating against qualified candidates or employees with disabilities. According to the fact sheet published by the U.S. Equal Employment Opportunity Commission, in terms of job application and employment, any person with disabilities can perform the essential functions required for the job position. It is deemed unlawful if the employer penalizes or retaliates against any individual who oppose practices that discriminate on the basis of disabilities, or decides to testify, file charges, and participate in any investigation or litigation in relation to discrimination. 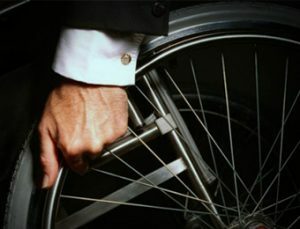 Due accommodation should be granted to employees with disabilities. Employers can, however, provide “reasonable accommodation” if granting such will not cause “undue hardship” on their business operations to allow employees to enjoy equal employment opportunities. The law does not compel employers to lower quality or production standards, or to provide personal items such as glasses or hearing aids when making such accommodation. In fact, such accommodation is to be granted upon request. – Acquiring or modifying equipment or devices, adjusting or modifying examinations, training materials, or policies, and providing qualified readers or interpreters. Medical examinations of employees should be related to the job and consistent with business needs. Medical information and records of an individual employee should be kept confidential. Employers are also prohibited to ask job applicants about the existence, nature, or severity of their disabilities. Applicants may be asked about their ability to perform specific job functions. Any tests for illegal drugs are not covered by law’s restrictions on medical examinations. This means that employers may hold alcoholics and illegal drug users to the same performance standards as other employees in the workplace. Related Article: Job Hunting? Try Networking, It Works!